One might confuse Marcelo Bielsa as a vain individual for the way in which he speaks about tactics and goes over the rules. He is just Argentinean. 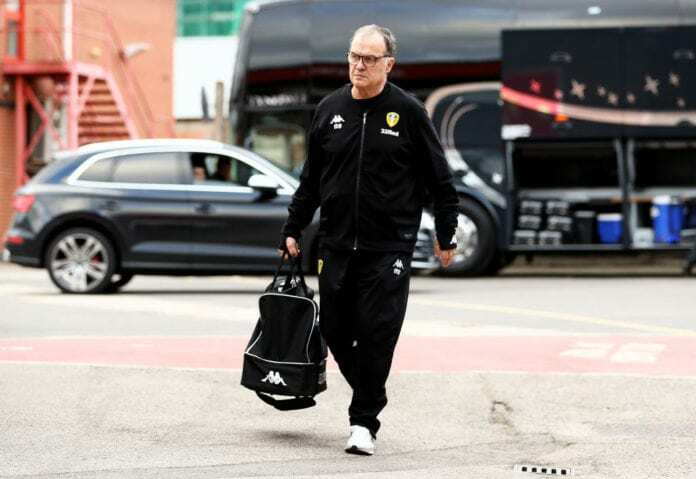 There has been a very split opinion in regards to Marcelo Bielsa’s latest stunt, the type that has earned him that “El Loco” (Crazy Man) nickname and people might confuse his personality as vain. But anybody who could go on this train of thought doesn’t have the full story about who Marcelo Bielsa really is, the man is Argentinean first and foremost. People who were born in that country are born with a natural arrogance that separates them from the rest of people who were born in Latin America, not even Lionel Messi is forgiven by this personality trait. The Barcelona star is the perfect example that you simply cannot elude the personality that most perfectly describes your race or country, for he is arguably one of the most grounded people you will ever meet and yet he still appears above the rest of simple mortals just by the way he conducts himself with others. But don’t let that idea of him confuse you, Messi only appears arrogant and yet he is merely a very shy man. Something very similar happens with Marcelo Bielsa, a true genius of the craft who loved immersing himself in the tactical analysis that can become quite obsessive. As I saw Bielsa’s explanation that he used to defend himself from those football espionage accusations, I can easily understand how some people might have gotten the idea that he was mocking them by not only accepting he spied on Derby County before facing them on a match, but also revealing that he’s been spying on every single squad that will face them down the line throughout the current season. It’s also easy to understand how some people might fall under the idea that Marcelo was just bragging by letting everybody know how much of a genius he is by recollecting this information that no other manager would dare to gather. The study of a single match from only one club takes over four hours of analysis with all the players present, just imagining how much time it took Bielsa to gather information from every club boggles the mind and could bring about some envy from his peers. But all these people who criticize Bielsa fail to understand his true intentions, Bielsa doesn’t care about leaving everybody else as an obsolete excuse of a manager and he even loves the idea of sharing all his knowledge with anybody who is humble enough to listen. In a sense, Bielsa is even naive for thinking that people wouldn’t dare to see his actions as a threat rather than an honest invitation to spread the gospel. The perfect example of what we say is within a video that recently surfaced from the time in which Marcelo Bielsa still managed Olympique Marseille, the Argentine manager received a very special visit from none other than Zinedine Zidane. The Frenchman is humble enough to understand Bielsa’s intentions are not wicked or perverse, the Argentine manager offered to explain the tactics with pleasure and ‘Zizou’ gladly accepted the tremendous offer. Bielsa even noted that he didn’t want the proposal to be perceived as vain, all he felt was a responsibility to share the knowledge with someone who took the time to pay him a visit in order to learn more about the craft. This famous visit by the French manager was made all the way back in 2014 as reported by Marca, which was just before Zidane took control of the squad that eventually won three consecutive Champions League titles. One might say that ‘Zizou’ learned a thing or two from that generous offer that Bielsa gladly extended, an intention that might be confused with vanity by many. But the ones who really know what football is all about, are fully aware that Bielsa is nothing but a misunderstood genius. What’s your take on Marcelo Bielsa’s way in which he carries himself with others as a professional manager? Please share your opinion in the comment section down below.